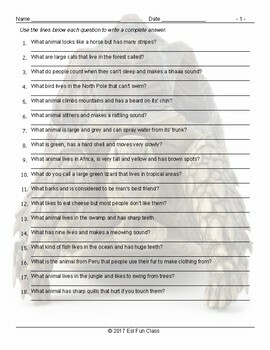 This is a worksheet to practice Animals vocabulary. Students are provided a list of questions which they must answer in complete sentences. 2 pages. Answer Key Included.